The Tuscan island of Elba is known worldwide as a great beach destination for summer. But Elba also has a long industrial history because of the iron mines that were opened there almost two thousand years ago. Now, this legacy has been made accessible thanks to an initiative called Elbaunderground. Tourism is the main source of income on the island of Elba, and every year tourists from all over the world flock to its great beaches. To give the Tuscan island a boost in a moment in time when everything has to be turned into an “experience” the island is striving to go beyond just being a great beach destination. In the case of Elba, this decision has ended up with the upgrading of a unique historical and landscape legacy and stands as an opportunity to open up to more conscious - and as a result more sustainable - tourism. A trip to Elba is a journey through the colours of the stones, which have remained in the deep belly of the island for time immemorial. 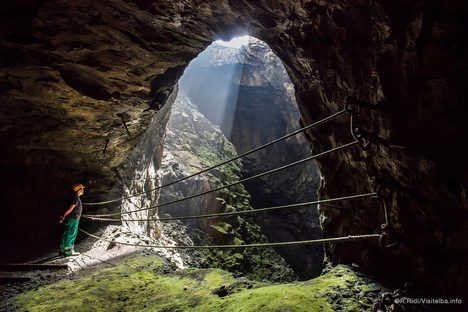 The Etruscans first dug them up and excavations continued until 1981 when the last mine closed. The deposits are so immense that they seem eternal: iron, pyrite and hematite to name just a few of the more than 200 varieties of minerals on the surface of the island and more than a twentieth of all the minerals on earth. Descending underground to discover mineral basins that are still considered to be some of the largest in the world, means taking a real journey back in time and through science. A new attraction for the whole family because mining tourism is at the moment one of the most fascinating frontiers of experiential holidays. Because here, tourists don't just passively look in wonder, they are actually personally involved through immersive activities. You can visit the old mine galleries, take a mineral trekking tour and even visit the plants where the stone was processed. The great thing is that when you emerge from the dark underground you find yourself in the splendid landscape of Elba, which changes constantly - the eastern side of the island that faces onto the boot of Italy is dominated by iron deposits; the western side overlooking the Tyrrhenian Sea and Corsica is formed of granite that is still excavated today. Your immersive experience doesn't stop underground, as the campaign hashtag #Ellbaunderground suggests, it also embraces the history and landscape of the island. A new way to explore your holiday spot that gives food for thought and makes you appreciate the environment of your temporary stay even more. All with plenty of emphasis on sustainability because by maintaining the old mining structures they won't fall into decay, so this kind of tourism helps to preserve both landmarks in the territory and the landscape itself. A cultural landscape that is completely open to sustainable discovery. You can hike, ride a bike, you can even ride a donkey - the consummate form of transport on Elba from way back when through to the middle of last century. All of this turns tourism into a driver of environmental protection.